« Women: The Weaker Vessel? Oooooh!!! Your skirt is so lovely!! 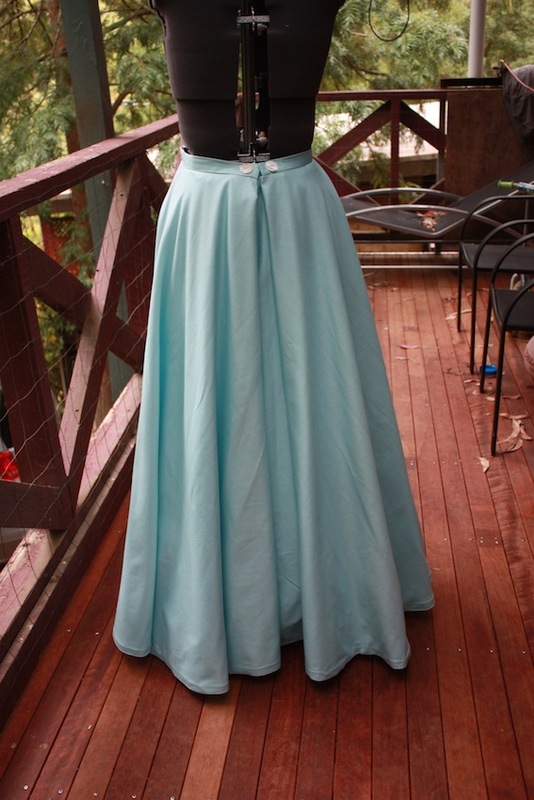 I really like the color and the sweep of the skirt!! Very well done! 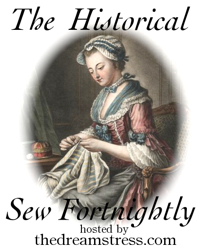 Your skill at sewing is amazing – you should be really proud. It looks lovely to swirl about in. 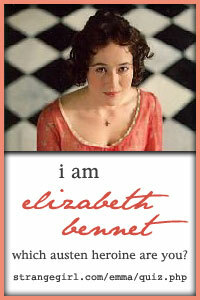 I am hoping to give it a good “swirling” in two weeks! 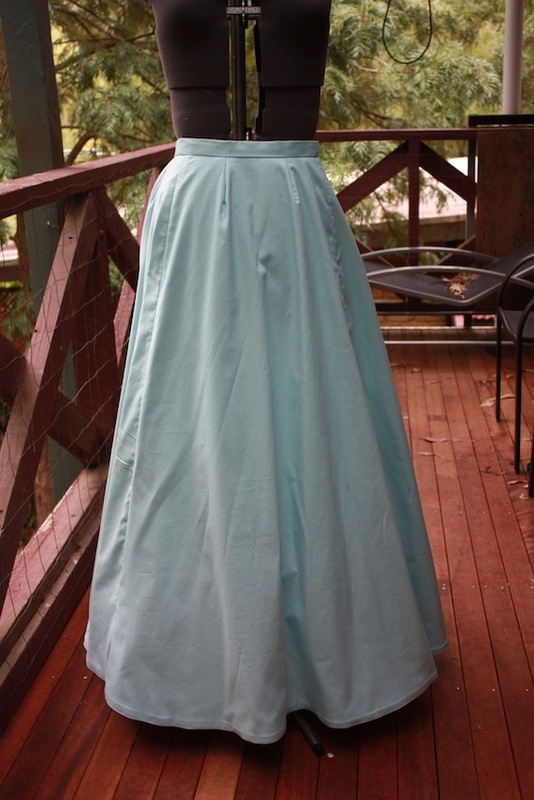 It is such a simple classic skirt, and very slimming and elegant in the cut. I think this type has been reinvented many times through the decades! Beautiful! 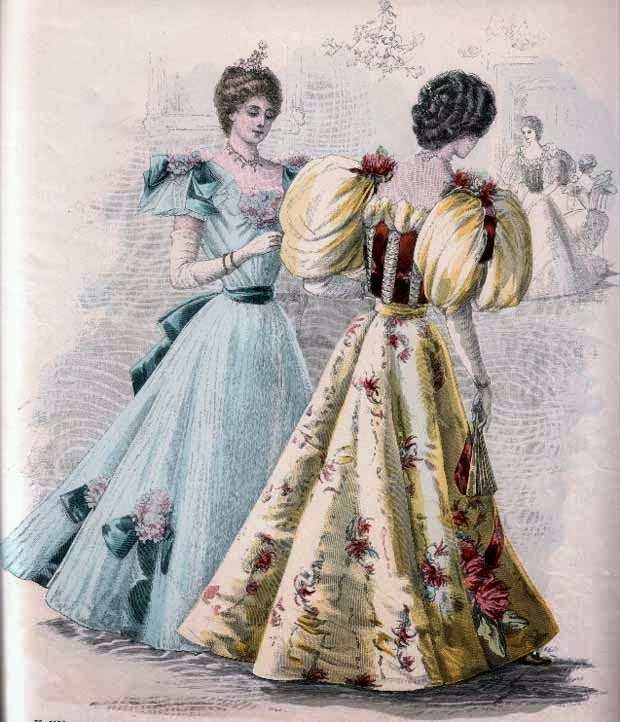 Such a lovely fall of fabric at the back. 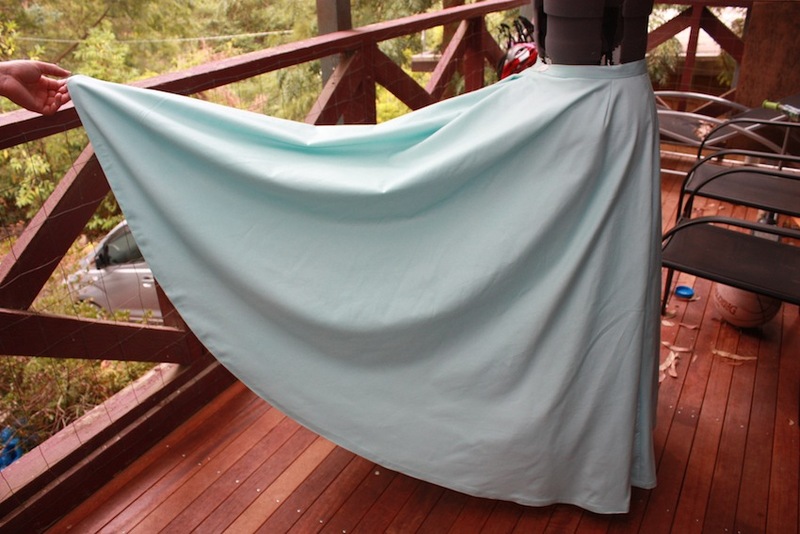 I’d like to make a skirt like this to clarify: for the waistband you attached one to most of the skirt, leaving a small gap. 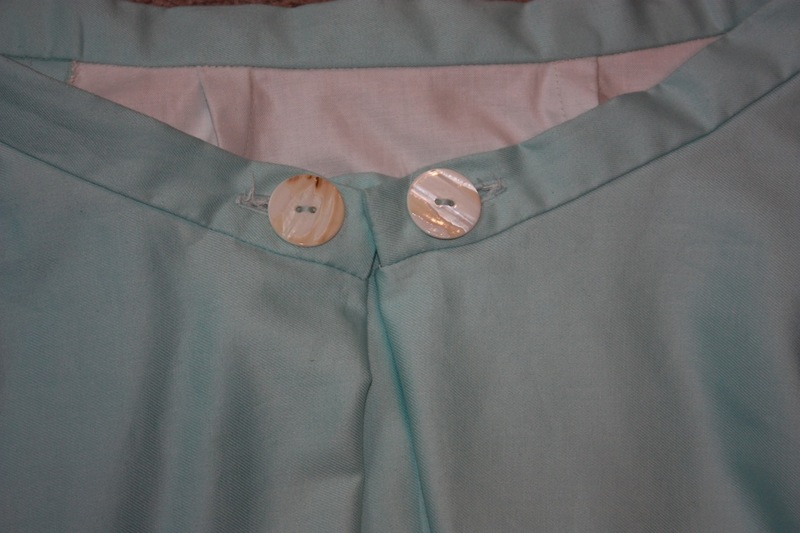 In this gap you put a tab with buttons, which attach to the button holes sewn to either end of the waistband. Correct? Yes that is correct. One of the problems with this type of pattern is where to put the placket or opening. 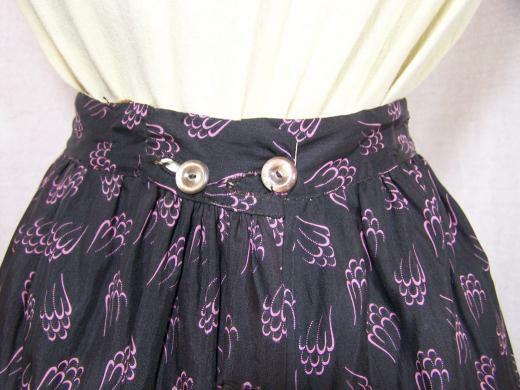 Often in skirts of this era it is put in one of the seams (either at the side or towards the back), but the only seam where it can be done in this skirt is in the front seam (as the back panel is cut on the fold). This “tab” arrangement is not historical, but I really wanted an inverted pleat in the skirt at the back and there was no other way I could see to work it. In hindsight (because it is terribly hard to get this skirt on and off!) 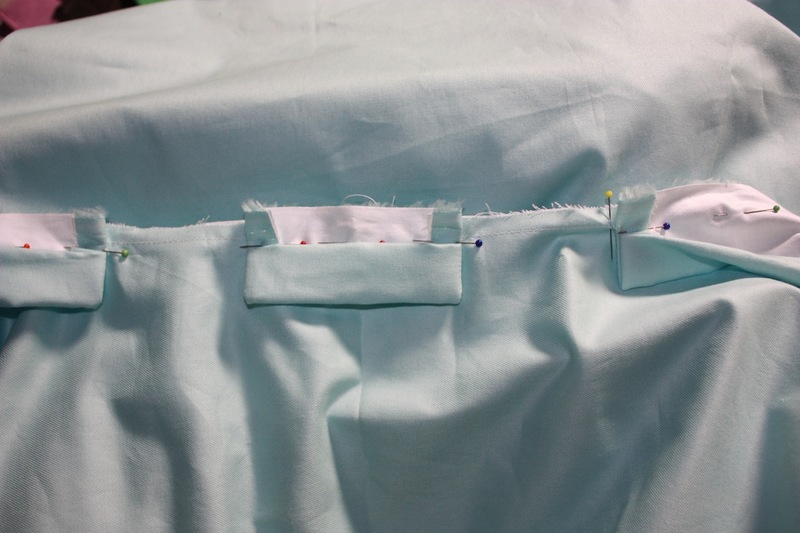 I should have slashed down into the back panel and formed a continuous placket. 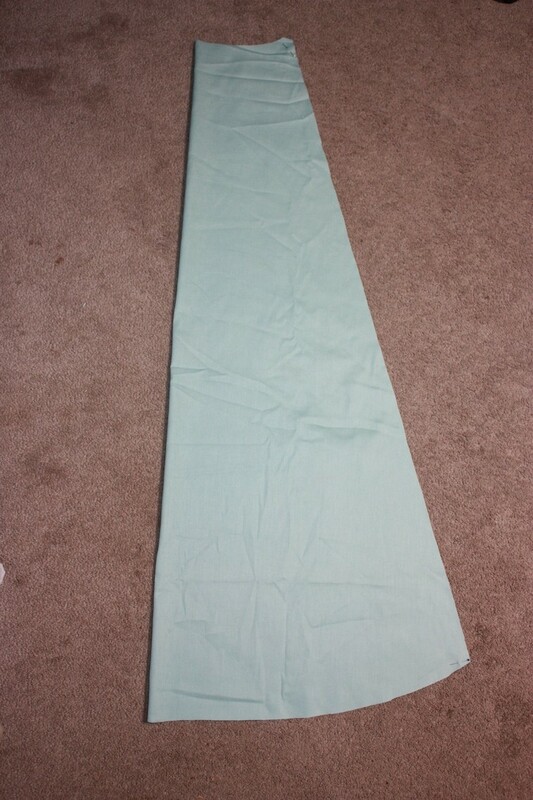 (Here is a tutorial for a continuous placket if you are interested: http://sewaholic.net/sewing-a-continuous-bound-placket-the-simple-one/) Or I could have cut the back panel in two parts, thereby having a centre back seam. 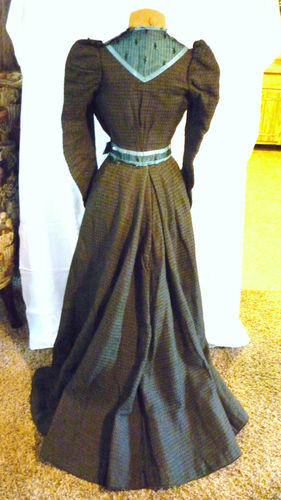 I used that approach in my other fan skirt here, https://teainateacup.wordpress.com/2017/07/02/making-an-1890s-ballgown-skirt/. But the fullness of the back panel is pleated using smaller pleats, rather than the large inverted pleat I have used with the skirt in this post. Hello there, I’ve been trying to find a skirt pattern to create a Katherine Plumber costume from the Broadway rendition of Newsies but can’t seem to match the right skirt. Would this one appear the same or am I on the wrong track? Since the show “Newsies” was inspired by the 1899 Newsboys Strike in New York, I would think any skirt of the late Victorian (1895 onwards) or early Edwardian period (1900 to 1905) would suit. 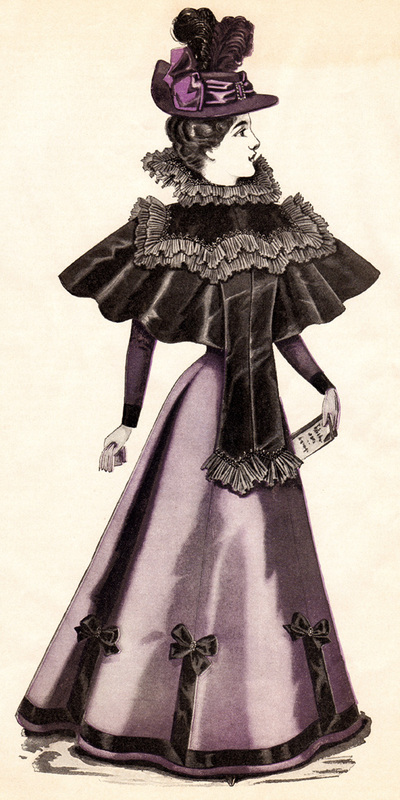 This particular type of skirt, the fan skirt, was popular from the early 1890’s and was still used in the early Edwardian period. How wide is the center front panel for this? I’ve seen some directions on historical patterns saying the center front should be 1/4th the waist measurement but that doesn’t look quite right to me. The finished size is 9.5 inches (after putting in the darts). But I don’t wear this one with a corset. 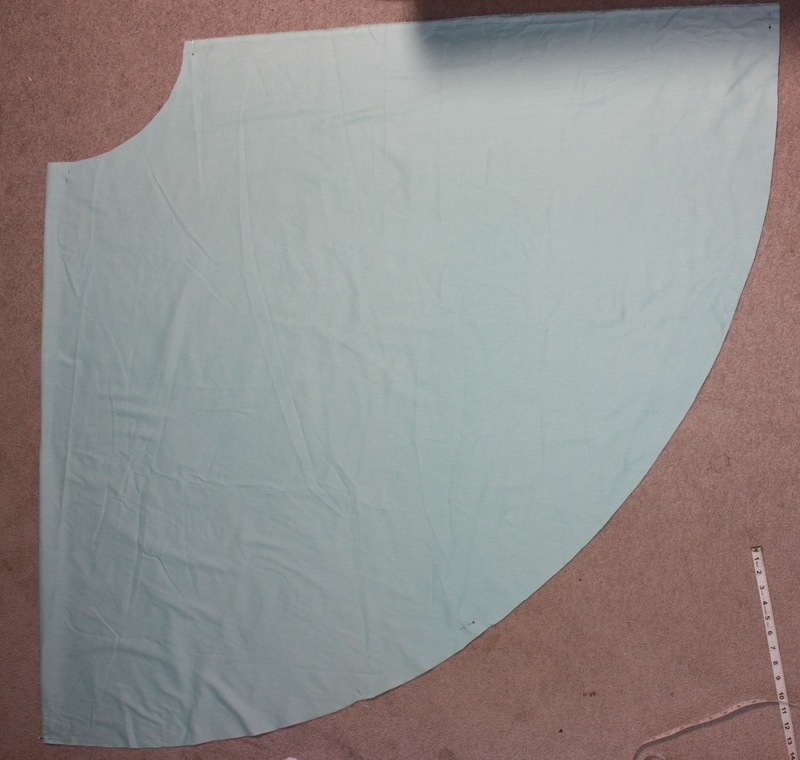 I find that the width of the panel needs to sit just inside each front hip point, which would probably make it about 1/4 of the waist measurement.